There's been a velvet revolution at Heide Museum of Modern Art. After satisfying the worldly needs of modern art lovers for the past eight years, Shannon Bennett's Cafe Vue has left the modern glass-walled building and a quick switcheroo, courtesy of industry veteran Simon Tsalikidis, has seen Cafe Heide take its place. Weep not, Cafe Vue aficionados, for the fundamentals – good food, coffee and big crowds at weekends – remain the same. 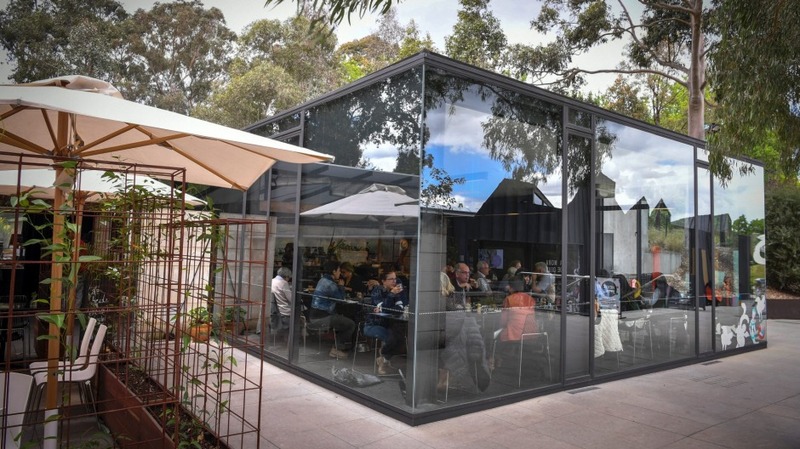 A glass and steel box that slots seamlessly into the park-like setting and doesn't steal attention from the more outre stylings of its gallery neighbour Heide III, Cafe Heide rates among the most pleasant of Victoria's gallery pit-stops. The piece de resistance is the walled-in terrace where umbrellas provide shade and half of Melbourne descends when it's sunny. The menu, overseen by Sam Pinzone (Dandelion) and executed by Jamie Garcia, takes a something-for-everyone approach. Sufferers of FOMO, beware: it's lengthy and broaches no real theme, which maximises indecision. Breakfasts go free-ranging from granola panna cotta using honey from the Heide hives and fresh fruit from the kitchen garden, to the sort-of full English breakfast with smoked tomato, sweet potato hash and chive-studded scrambled eggs. 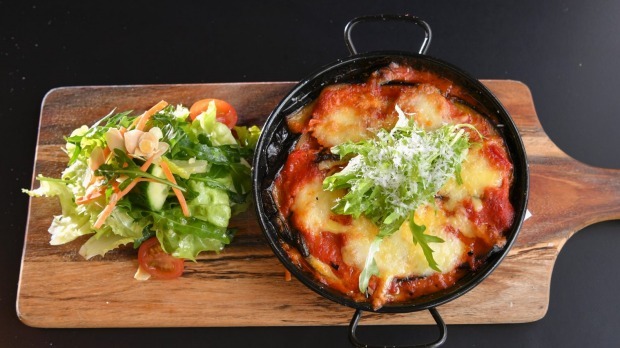 Lunchtime might swerve from an authentically zesty, tangily dressed Vietnamese-style salad to a lasagne featuring lightly fried eggplant standing in for carbs and a melting ooze of buffalo mozzarella (more of a likeable take on the parmigiana oeuvre, come to think of it). 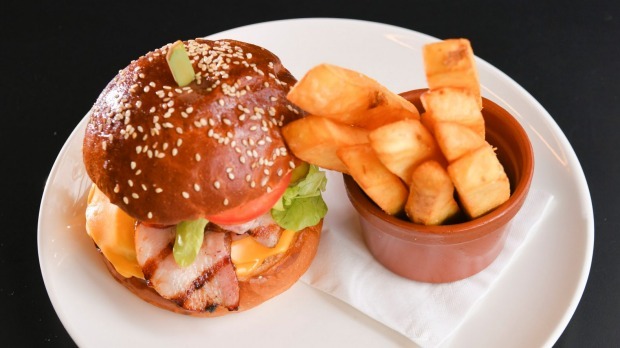 A wagyu burger, the fat patty retaining the memory of pinkness, is thick with smoky bacon and bold pickle action with excellent fat chips on the side. Beans look to Fitzroy heroes Industry Beans. The Rose Street blend, made up of three single origin beans sourced from Brazil, Guatemala and Tanzania, makes a smooth, catholic and full-bodied brew with a well-rounded note of cocoa butter. A cafe with a decent wine list, hooray. There's nothing too outrageous, but you can certainly improve your art appreciation with the help of an Adelaide Hills riesling, a Marlborough pinot noir or Louis Roederer champagne. At $22, their smashed avocado can be used to justify accusations of Millennial financial frippery. A superfood route sees crisp kale, pickled baby beetroots, feta, seeds and puffed quinoa join forces with poached eggs on sourdough – enough to fuel anyone through a deep immersion into modernism. Loving Taking a nap under a shady tree in the sculpture garden after a long lunch. Not getting Let's face it, prices are high. Overheard "I know we're not meant to, but I just can't help touching the sculptures."